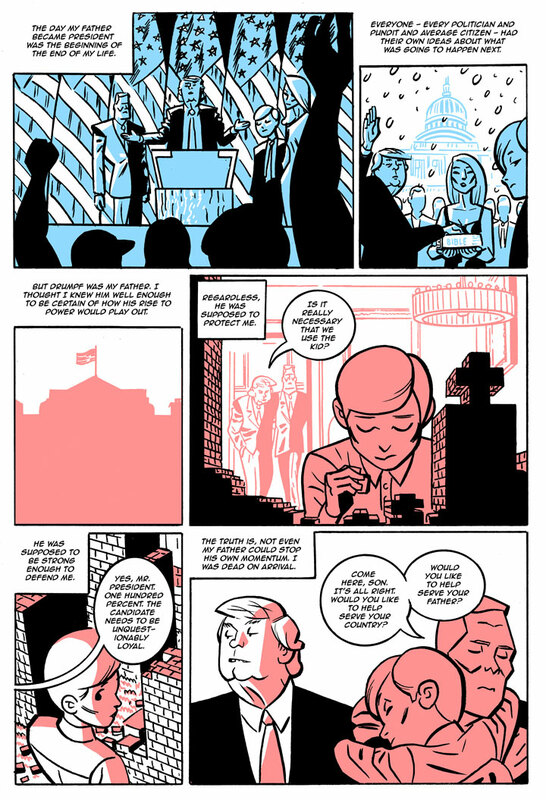 I have a new comic out called "The Redemption of Super-Champion Barron Drumpf Part 1." It's entirely made up and has nothing to do with reality. The characters are all fictional, as Jason Schwartzman's Jack once said in The Darjeeling Limited. The story concerns a sort of Reverse Captain America: Barron Drumpf is the son of a despot named Donald Drumpf, who again is entirely fictional and not based on the current President of the United States. Zack Soto of Study Group Comics was kind enough to publish it on his site. Here are a few pages for your perusal. The comic can be read in its entirety here.